On Weds 3rd and Thurs 4th February London Meets... Chefs is hosting two dinners at House of Vans in Waterloo featuring Michelin starred Chef Akos Sarkozi from Budapest's Borkonyha (Wine Kitchen) restaurant. It's going to be a 5 course dinner with lots of interesting flavours - and if the photos are anything to go by it will look and taste amazing. Tickets are £59 - links below - Please support them! "Join us at London's cool urban hotspot House of Vans for a 2 day exclusive pop up event to taste the food of one of Budapest's finest chefs. 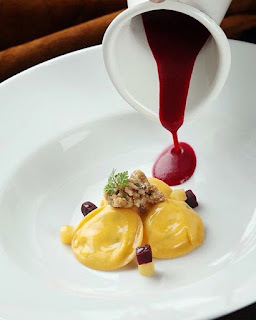 Michelin starred Chef Akos Sarkozi from Budapest's Borkonyha (Wine Kitchen) is renowned for his no-frills style cooking, stripping down heavy Hungarian dishes to their definitive flavours. 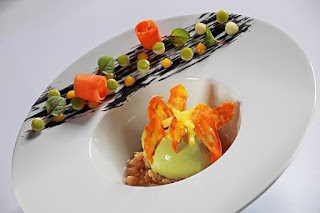 So do not expect heavy stews or goulash but instead, a 5-course dinner menu with elaborate, contemporary and subtle Hungarian influences packed full of delicate flavours."